Saxon offers math and reading programs. Saxon Publishers is an imprint of Harcourt Achieve. The company is also the publisher of the Rigby and Steck-Vaughn product lines. Schola Publications publishes phonics and Latin curricula. The PHONICS Road to Spelling and Reading is a complete K-4 curriculum offering the parent a comprehensive video teacher training text with an emphasis on accurate speaking, spelling, writing, reading, grammar, and composition with an introduction to Latin. The LATIN Road to English Grammar is a comprehensive language curriculum that allows parents to learn and teach Latin at the same time. All the materials you need are included for easy learning and teaching: textbook, worksheets, tests, vocabulary cards, answer keys, lesson plans, verb charts, audio CD’s for pronunciation and teacher training DVDs. The Scholastic Teacher Express store provides an exciting new way to shop for educational products. It offers electronic (PDF) versions, as well as paperback versions of thousands of teaching resources books, activities, practice pages and lessons plans covering a wide variety of subject and curriculum areas at everyday low prices. From Kindergarten through Elementary and High School, Seton Educational Media (SEM) offers a full range of excellent books and resources for the Catholic home schooling family. Sing 'n Learn provides teachers and parents with a source for products which use the medium of music to teach. In addition to the musical sets, they sell other auditory products such as story tapes, audio books, and radio theater. Smart Kids Software your #1 resource for special education products and educational software for Schools, School Districts, Teachers & Students! SmartTutor's award-winning elementary Math and Reading software is designed to help children succeed by customizing a learning plan that targets their strengths and weaknesses based on the results of their placement test. SmartTutor.com accommodates your child’s home school learning program and can be a great additional resource for your child if he is struggling in Math or Reading. Sonlight Curriculum provides quality, literature-rich K-12 Christian homeschool curriculum and related educational products, resources, and programs. 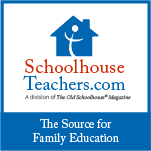 They provide complete curriculum packages and individual resources and materials so you can build the preschool or K-12 homeschool curriculum that best meets your family's needs. Sonlight is based in Littleton, Colorado and serves customers in over 150 countries worldwide. SpiderSmart Learning Centers offer instruction in reading and writing, math, and SAT preparation around the country. SpiderSmart Online offers all the benefits of the learning center program with the convenience of working from home. Choose from a wide variety of books to read, complete writing assignments, and get personalized feedback from our experienced teachers--all online. SOW (Student Of the Word) is a Bible centered, K-12 homeschool curriculum for Christian parents who desire to disciple their children not just educate them. The goal is to know God; the method is discipleship, and the main text for all the subjects is the Bible. The Critical Thinking Co. designs critical thinking into reading, writing, math, science and history lessons so students carefully analyze what they are learning. Their products are fun, easy to use, and guaranteed to produce better grades and higher test scores. The Sycamore Tree carries Christian items from publishers like Bob Jones, Alpha Omega, and Christian Liberty Press, and secular items from publishers such as Prentice Hall, Glencoe, and Steck-Vaughn. Choose from grade-level curriculum packages to individual products. The Tanglewood School Curriculum features a homeschooling program which utilizes Charlotte Mason's method in order to give your child an outstanding well-rounded classical education. You can follow their suggestions or create your own curriculum. Shop the Scholastic Teacher Store for instructional software, books, and classroom materials at discounted prices for educators only. Shop by reading level, school subject, and grade. Timberdoodle provides homeschool products and homeschool curriculum. They specialize in hands-on homeschooling and help you customize your homeschool curriculum to meet your child's unique needs. You can choose from complete curriculum packages to individual items. Time4Learning is an online home education program that combines learning with fun educational teaching games. The online language arts and math comprise a comprehensive program for preschool, elementary school, and middle school. Science and social studies programs are provided as a free bonus for most grades. Time4Learning is a great homeschool education partner because it offers each child their own learning path, with animated lessons, interactive activities, unit assessments, and integrated printable worksheets for reinforcement.